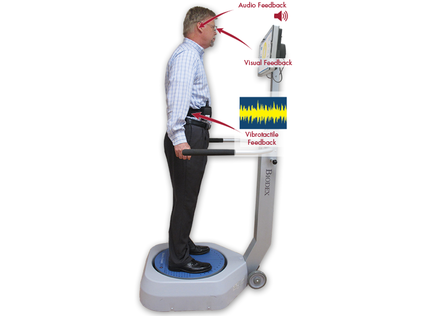 Vibrotactile feedback is especially suited for evaluation and treatment of vestibular disorders. You are expecting a call. You’re in a place where a ringing cell phone is bad form so you put your phone on vibrate. When the phone “rings”– you don’t see it or hear it – but you know exactly where it is. That is vibrotactile cueing. Providing real-time biofeedback during rehabilitation is essential for patients and clinicians. 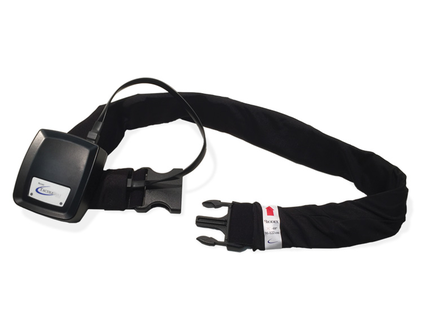 Once integrated with the Balance System™ SD or the portable BioSway™, the optional VibroTactile System offers an additional form of sensory feedback to help detect changes in postural sway. 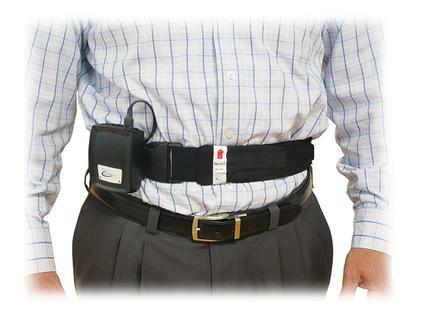 Using wireless technology, the tactile belt responds with a vibrating sensation when the patient sways outside the therapist-set parameters. 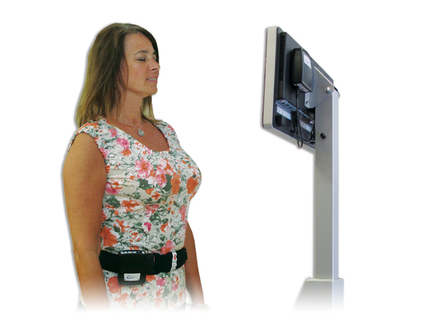 Real-time biofeedback is an important component of balance rehabilitation. Typically therapists cue patients with a tap or verbal command. Vibrotactile cueing heightens the therapy process by adding a mechanized, reproducible sense and objective feedback. More pronounced than audio and visual feedback, vibrotactile cueing directly engages the motor learning system, enhancing neuroplasticity and reducing falls. Vibrotactile cueing allows patients to safely receive positional feedback with their eyes closed. Patients with vestibular challenges are overly dependent on visual and somatosensory systems. To bring a greater focus to the vestibular system during balance training, the visual sense needs to be eliminated. Research and clinical experience demonstrate that vibrotactile cues that correct postural sway in one situation are retained and transferred to other types of situations. Vibrotactile cueing fosters adaptation to new, correct information. The origin for this specific technology is from the military, to enhance spatial awareness for jet pilots, with sensors embedded into their flight suits. Since then, the technology has been adapted to balance rehabilitation with excellent results. 1 Whitney SL, Alghwiri A, Alghadir A. (2015). 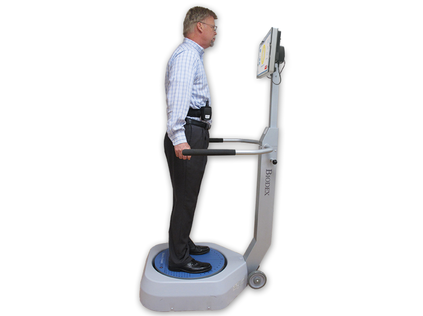 Physical therapy for persons with vestibular disorders. Pubmed.gov, 61-8. doi: 10.1097/WCO.0000000000000162. Compatible with Windows CE, Windows 7 and Windows 10. Includes: Wireless receiver and connection cables.